On this episode of Apologia Radio we spend time listening to the continued decay of the minds in our culture with our exclusive NPR (Not Public Radio) segment with Steady Randy. We chop-it-up over “safe spaces”, “micro-aggressions”, and the like. We also spend some time reviewing a recent clip from Wretched with brother, Todd Friel. Todd spent a few moments reviewing some comments from Dr. John MacArthur regarding, in our minds, cultural surrender and retreat. We address the fact that Friel has to spend great effort walking back Dr. MacArthur’s comments. Note: We highly respect and deeply treasure these two men. However, we believe that the position they advocate for is inconsistent with a truly Biblical Worldview and therefore needs to be lovingly and respectfully critiqued. Finally, Jeff spends a few moments reviewing just a bit of an Atheist’s attempt at refuting Jeff’s recent conference talk in Iowa. Don’t miss it! And, don’t forget, you can sign-up for AllAccess and get every TV show, every After Show, and Apologia Academy. Sign up at apologiaradio.com! 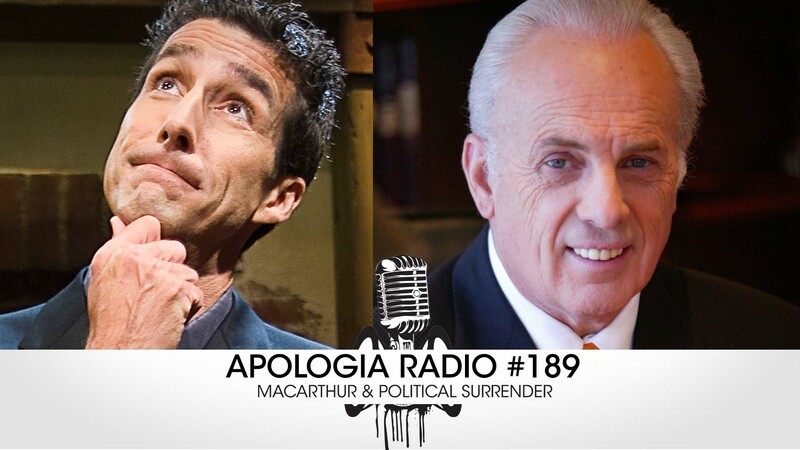 1:00:00 – John MacArthur and Todd Friel and Two Kingdoms? You mean the position they advocate is inconsistent with your brand of Theonomic Reconstructionism. Jeff, I was the one who made the video you responded to here. I noticed that you didn’t actually respond to my arguments (namely that without omniscience you could not validate the revelation you claim to have recieved). My name is no secret and I would like to actually speak to you about these topics (I have sent you various unreciprocated correspondence) .